Compatibility for Scorpios: Who is Scorpio Most Compatible With? 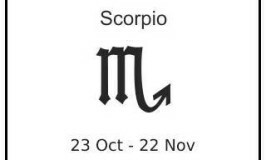 It can seem difficult to determine who is the Scorpio most compatible with. Fortunately, compatibility for Scorpios is not as complex as it may seem, as long as the Scorpio learns to harness his or her emotions. Learn all about what signs are the best love matches for Scorpio with this article about Scorpio compatibility.